You love your Jeep for how rugged and functional it is, but if you also want to keep it clean and stylish, you can make a splash by helping prevent them - with the Deluxe Molded Splash Guards available at JustforJeeps.com. The Deluxe Splash Guards protect the lower body of your Summit, High Altitude or Limited X Grand Cherokee with a composite plastic and rubber material that'll help keep mud and debris from damaging your Jeep's finish. 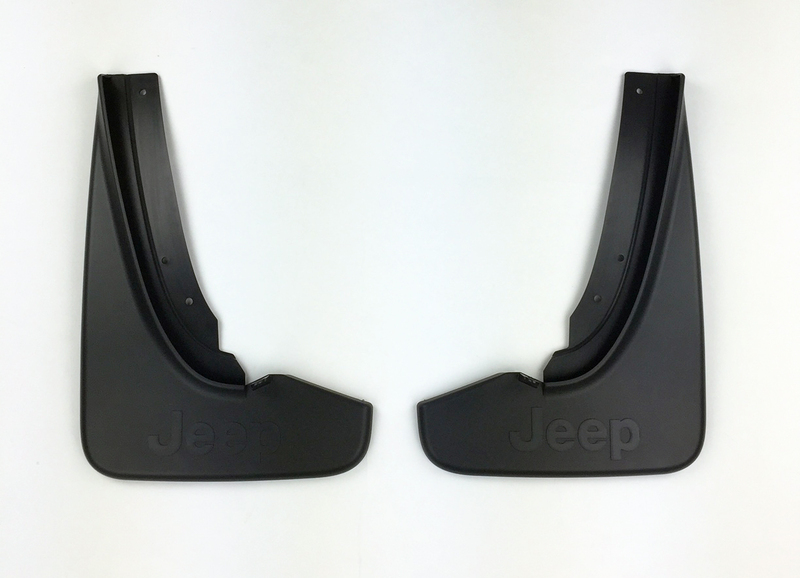 The Jeep splash guards provide a custom fit, so they look natural while helping your Jeep keep looking good. 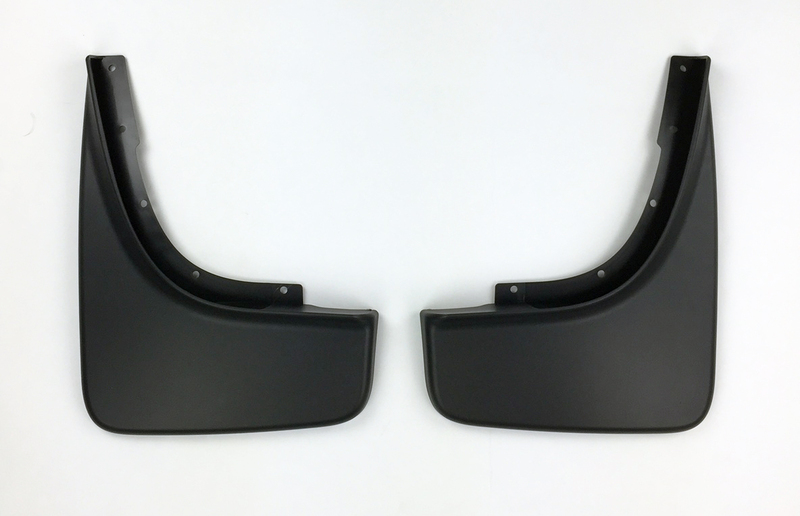 Comes as a set of two black front or rear splash guards. Jeep logo on rear set only. Front splash guards will not fit on Jeeps with Rock Rails. Nice splash guards. You have to drill holes to fit. The front were not hard to put on but the back the wheels have to be removed to be installed. Clear & precise fitting instructions included with items. The only thing preventing me from giving the splash guards five stars is the fitment. The splash guards did not fit tight to the fenders and the front fenders require drilling five 1/4" holes in the fender well, so if you are not a "handy" person I suggest you have Jeep install them. I ordered the set of splash guards not realizing the listed price was for 2! So, got a call from their Customer services confirming that I needed one set, and not two. They fixed my order w/out me needing to cancel it and reorder again. The splash guard fit perfectly to my brand new Summit!! !